The first time I have ever had this wonderful American salad was in our church potluck. I wasn’t much of a salad eater when I first came to the US. We only had one type of salad in the Philippines and that was always made with iceberg lettuce and always with a thousand island dressing. For us, vegetables were always cooked with meat so eating it raw (which is better really!) wasn’t typical at all. It’s only recently I believe that we’ve had more exposure to different types of salad, well at least for me. I was fascinated when I first came here to the US in 2004 to learn that you can actually eat cauliflower and broccoli raw. That is unheard of in the Philippines as these two wonderful veggies are often cooked usually as part of Chopsuey or in a stir-fry. However, I have learned to actually love eating vegetables raw especially broccoli when I had this salad. Oh, it was a truly eye-opening and palate-pleasing experience for me. 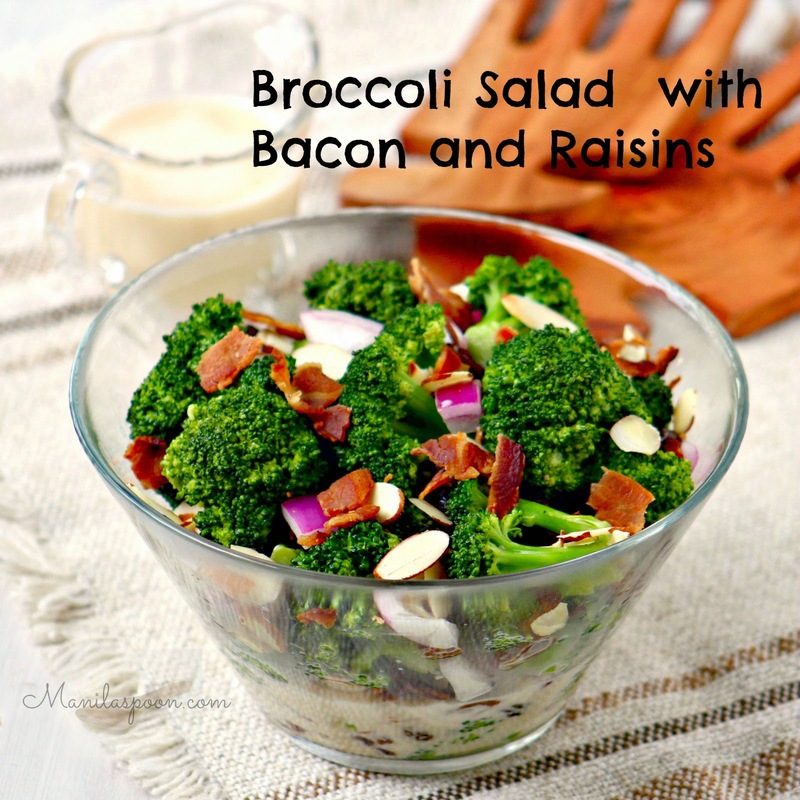 The creamy, sweet-tangy dressing plus the crunch from the broccoli (and of course the plump raisins and flavorful bacon) truly made this one of my favorite salads. Because of this I truly always look forward to our church pot luck as I know, I will always see this salad served on the table. Now, I am glad I can make it at home, too. Enjoy this yummy salad! 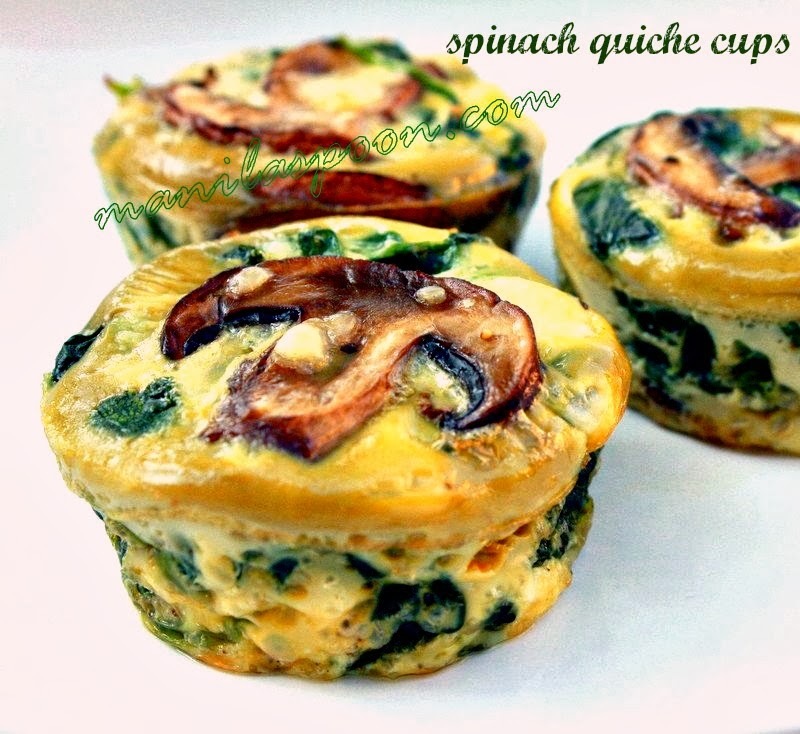 *The extra 2 tablespoons are optional – adjust it to your taste. In rapidly boiling water, blanch the broccoli florets for 2 minutes or until they turn bright green. Drain and rinse quickly with cold water. Drain again and set aside. You can also use the broccoli raw if that’s what you prefer. Using a food processor (or whisk) mix together the vinegar, mayonnaise and maple syrup until well-blended and smooth. 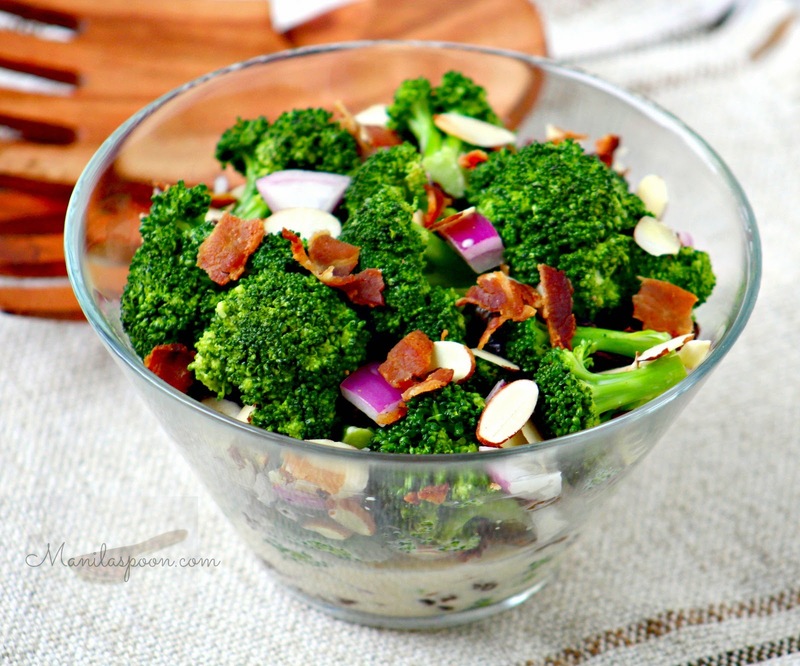 Combine the broccoli florets, raisins and red onions in a large bowl. Pour over the mayonnaise mixture and toss to coat. Leave in the fridge for about 1 hour to let the vegetables soak in the flavor. 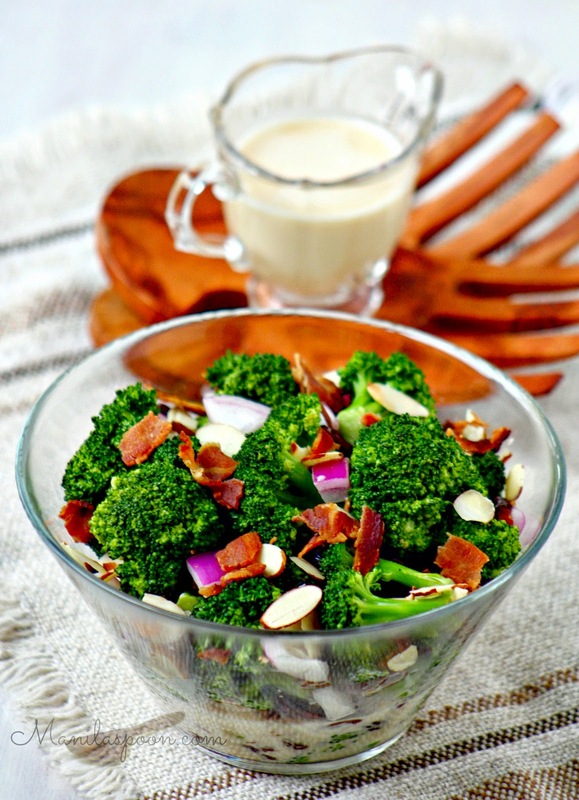 Sprinkle the crumbled bacon and Almonds on top or mix it all in just before serving. Enjoy immediately.